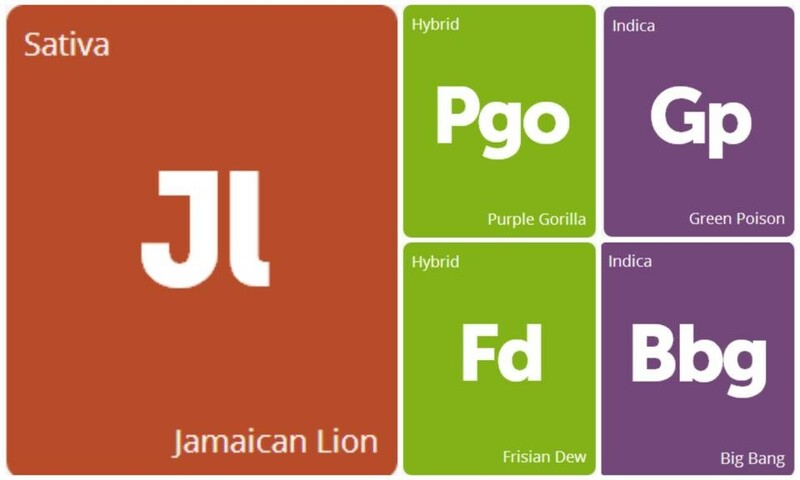 Purple Gorilla, named for its violet, oversized buds, is an indica-dominant hybrid that originated in the Bay Area of California. While we can’t be sure of its lineage, Purple Gorilla is said to contain 60% indica genetics, which are evident in its potent relief of pain, insomnia, migraines, and muscle spasms. Its aroma is a sweet fusion of grape, cherry, and citrus, which brings even more allure to its purple, trichome-speckled buds. Following Purple Gorilla’s 7 to 8 week flowering time, growers are rewarded with massive yields of this highly medicinal indica gem.